1. Please tell us more about yourself and your background. Where are you from originally and what made you come to Canada? I was born in Villach/Austria, a town with ancient roots, build on the river Drau and surrounded by mountains. Even as a very young child I liked to travel. My mother used to tell me I would go to stay with my aunt and I never got homesick. I was the only child and at the age of 20, left Austria for Canada as a landed immigrant. I needed to spread my wings and initially did not plan on staying long. Just long enough for my father to give me permission to attend University. My father died a year after I left home and by that time I had fallen in love with Toronto and I stayed in Canada. 2. You have had a very interesting and diverse career. Please tell us about your diverse work experience. I was trained as a Hotelier/Chef in Austria, and worked for some time in the Hotel industry in Toronto. However, I first started as a Nanny in Forest Hill and eventually worked in a variety of jobs, including the University of Toronto. I got married and had 2 children and became a stay at home mom. During my time as “Mom” I explored some of my artistic talents, ran a porcelain study at home, and also had a 24 year successful career with Tupperware Brands Corporation. 3. More recently you embarked on a career as a tea sommelier. Please tell us more about this unique profession. About 8 years ago, I attended a workshop at George Brown College called the Pleasure of High Tea. 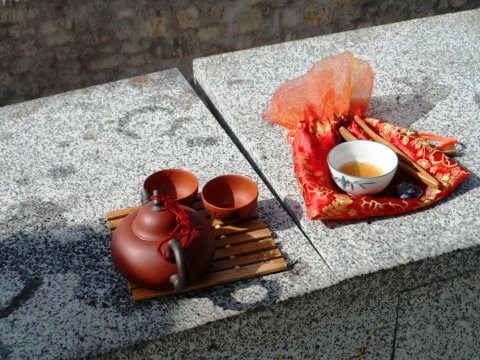 I was hooked and enrolled in a 2 year Tea Sommelier Certification program in 2009; I graduated as one of the first Certified Tea Sommeliers in Canada. With my hospitality background and my new found passion, until recently, owned a small company called Tea Occasions, offering Afternoon Tea events and educational seminars in my client’s home. I continue to speak and teach on anything Tea and occasionally host Afternoon Tea for my friends. 4. 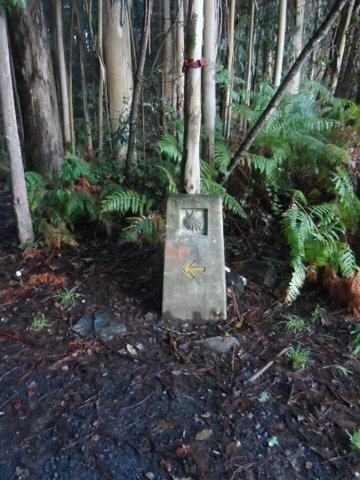 In 2012 you decided to embark on the Camino de Santiago. What motivated you to do this? This is a question that has no simple answer. 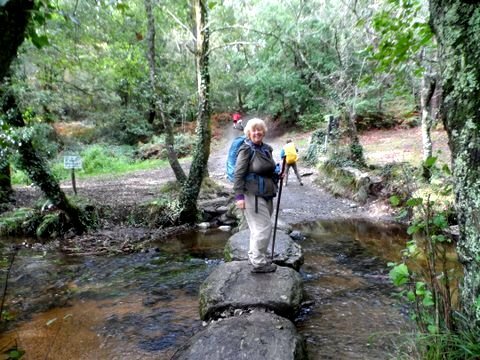 I found out about the Camino about 5 years ago, through my friend Sue Kenney who has now walked the Camino yearly for about 12 years. 2012 was an important year for me, I was turning 60. 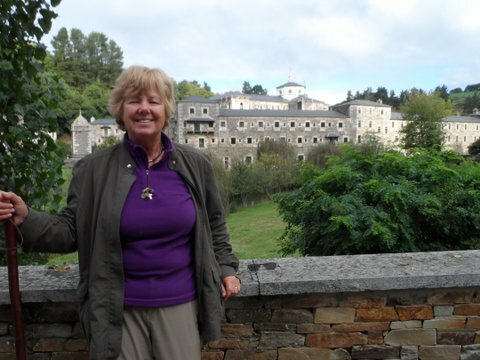 I originally had plans to go to the Spring Tea Harvest in China, and when those plans fell through, I changed my ticket for Spain and on September 5, 2012 I took my first steps on the Camino. Once I had made the decision, the Camino took over. It was difficult to concentrate on my day-to-day life, I was consumed with finding out everything about it. Added to know all about it was the inner voice that kept reminding me about some items that had been bequested to me by my parents and childhood memories long forgotten got stronger. More and more it felt like I was not only making this journey for myself, but also to finish a quest. 5. The Camino de Santiago is over 800 km long. How did you prepare for this trip? Initially, I read every book written about the Camino, I joined online forums to talk to veteran pilgrims and “want to-be” pilgrims like myself. I went on a shopping spree for the necessary pilgrims gear, started walking every day, eventually walking between 10 to 12 km before breakfast. Somehow, through Facebook connections, I became friends with a wonderful group of Camino experts, here at home as well as in Spain. With their guidance, by the end of August, I was physically and mentally ready. To my surprise, I was not as prepared as I thought I was. 6. 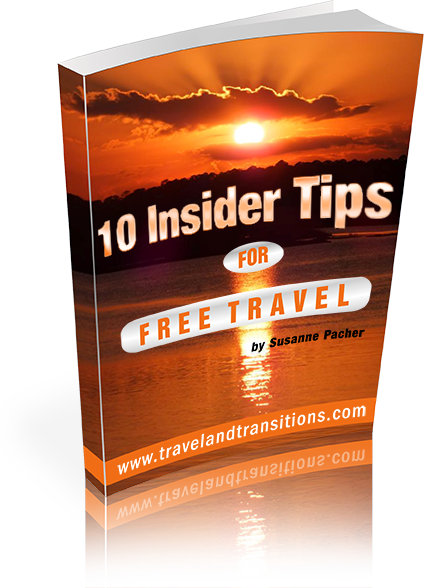 Please tell us about the first portion of your trip. What was it like to embark on this long journey? My plan was to walk an average of 20 km per day and walk the route by myself, as a pilgrim, carrying my backpack and sleeping in albergues and refugios, the hostels established all along the 800km. I also planned to stay in Casas Rurales, the Spanish B&B’s or hotels once in a while. I decided to fly from Toronto to Paris and then travel by train to Bayonne, in the south of France, then take the train to Saint Jean Pied de Port, the starting point on the French side of the Camino de Santiago. I had booked hotel accommodations for the first 3 nights to sleep off my jetlag and to ease into being a pilgrim. Not everything went according to my plans. My plane got delayed by 12 hours, which made me miss my train connection to the South of France. I spend 400 Euros for a 1 way ticket to Biarritz to keep on track. The room I had booked in Bayonne was worse than any accommodations I encountered during the rest of my trip. Once in SJPD, I collected my pilgrim’s passport/credential, a document given to each pilgrim to collect stamps at each albergue, as proof that you are walking. In the mid-day heat (not recommended) I started the steep climb up the Pyrenees to my first overnight stay. I thought I was prepared; NOTHING prepared me for this ascent. There were times that afternoon that I thought this to be my first and last day on the Camino. The first week on the Camino I now fondly call my Camino Boot camp. Those were some of the most difficult days but also very rewarding. 7. Please tell us a bit about the practical aspect of walking 800 km. How much did you carry? Where did you stay overnight? What about food, laundry and other practical matters? My backpack weighed about 16 lbs, it included 2 of everything in clothing, a fleece/silk liner I used as a sleeping bag, minimal toiletries, a small first aid kit, Tilley hat, sandals, camera, chargers, voice recorder, my tea set and lots of tea, raingear. I also wore a fanny pack that held all the things I would need during the day, i.e. money, some snacks, water. I walked with a pilgrims staff for support. Albergues and refugios run by the municipalities and churches offer a mattress or a bunk bed as sleeping accommodation. Rooms are shared sometimes with as many as 80 people. The fee for a bed ranged from 5 to 8 Euros a night or “donativo” which means you give what you can. Private Albergues are a mixture of private rooms and shared accommodations. They have more amenities and cost a bit more and can be booked in advance. Then there are Casas Rurales, those are B&B’s, charging anywhere from 25 Euros upwards including breakfast and dinner. Hotels are usually available in the larger towns and offer pilgrim rates. Most albergues have washing machines for laundry. Showers are often co-ed. Some have communal kitchen, others offered a cooked meal for an extra fee, but mostly one eats in local restaurants asking for a Menu del Dia. Along the walk, there are many bars that offer a place to rest, have a café con leche, sandwiches, alcoholic and non-alcoholic beverages. 8. What kind of people (and animals) did you meet on the trip? As I had decided to walk on my own, I had the choice to either walk by myself or walk with others. I just read the statistics for 2013, there were 200,000 Pilgrims arriving in Santiago de Compostela, walking the various Camino routes. With that many pilgrims walking, one actually never walks alone. Sometimes I walked with the same people for a few days, only to lose them for weeks and then meeting up again. I met some very interesting people, all ages, people with lots of money or no money at all, various religious beliefs, physical size and shapes, loners and chatty. We all had a common goal: to reach Santiago – and that created a unique bond. I had read about the “wild and dangerous” dogs of the Camino… I saw none. However lots of farm animals as I walked through the small towns and they had the right of way. 9. You decided to record your experiences. How did you do that? 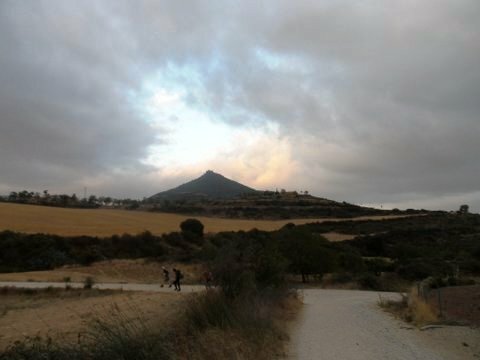 What difference did recording this experience make to you while on the Camino and afterwards? What does it mean in retrospect? I had decided to walk without cell phone or other tech gear. I even lost my watch 2 days into my journey. I stayed away from computers for the longest time and eventually started writing on Facebook to keep in touch with my family and friends. All along I was voice recording as I walked. I was not writing a journal, like so many other pilgrims, I wanted to record what I saw with my camera and what I felt with my voice. As it turned out, those recordings are a wonderful time capsule and wonderful memories of my transformation from tourist to pilgrim. They are an invaluable resource in my writings. 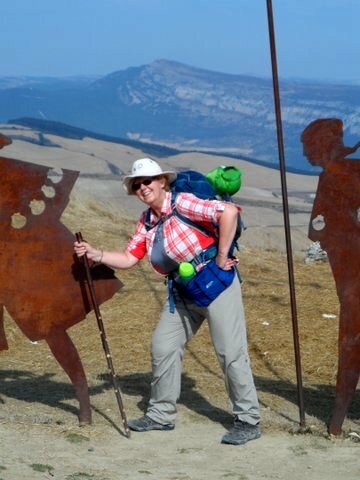 Please continue reading Part 2 of the Interview with Ingrid Folkers and how she completed the Camino, walking into Santiago de Compostela on her 60th birthday – with a broken leg!